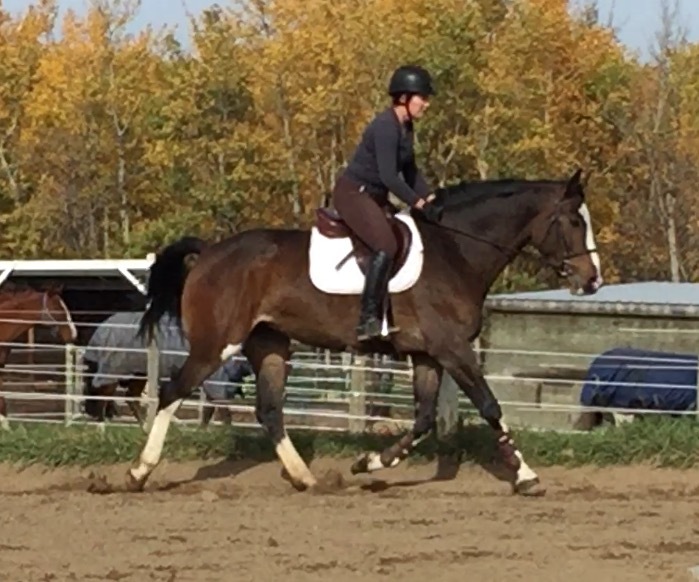 Passchendaele is a compact, athletic mare with an excellent jump and very good movement. 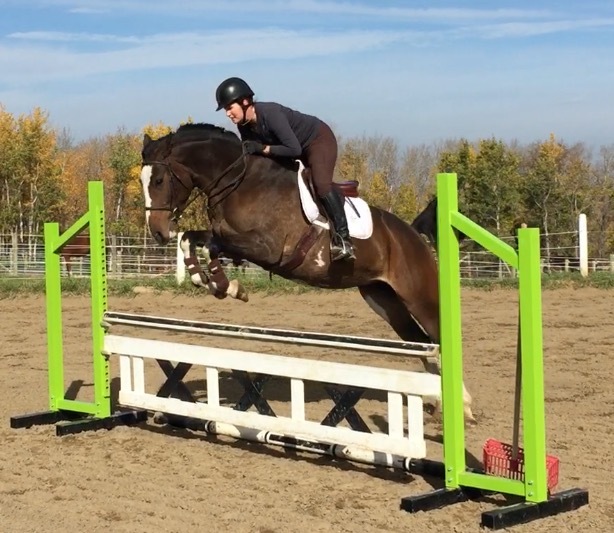 She has now been out to several show and has already moved up to the 1.10m level and is placing consistently against 20+ at the 'A' rated shows in Alberta including Spruce Meadows, RMSJ, Edmonton Classic and Caledonia Classic. 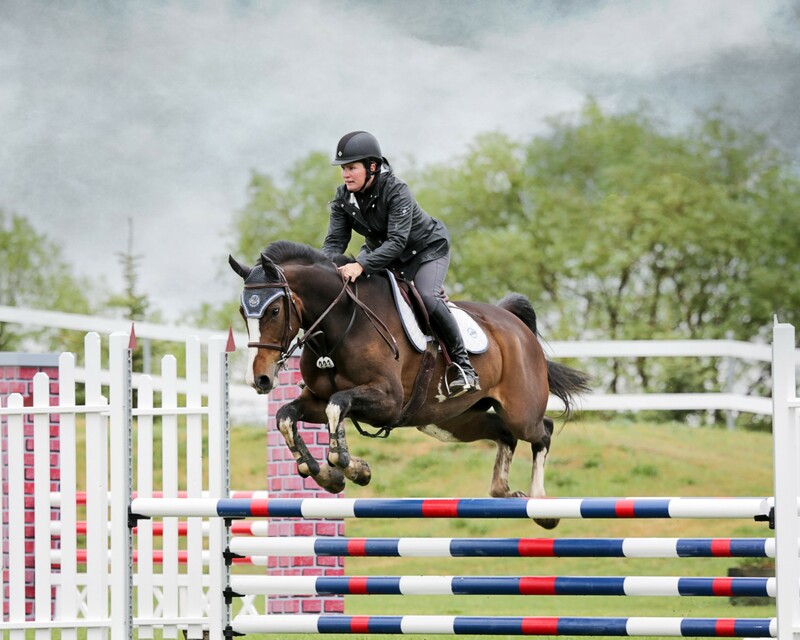 She is a lot of fun to ride and definitaley has her own engine and always takes you to the fences, she is sensitive but never stops and gives you a great feeling over the fence and can definitely take a joke. She has been shown by a 14 year old junior rider and just trucked around, doing her job. 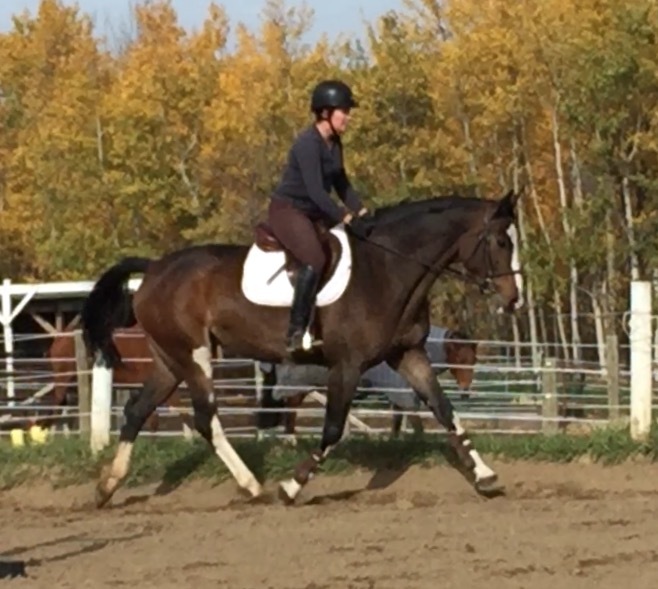 She is perfect for a brave Jr or amateur who wants to go to the ring and win and loves to go fast. She is an absolute doll on the ground and will stand for grooming all day long and the more she gets to know you the better she is. Passchendaele is by Pablo who is known for producing very good movers who also jump well and many are amateur ridden. Her Dam is by the Voltaire son Farmer who also has many amateur ridden jumpers in both NA and Europe. 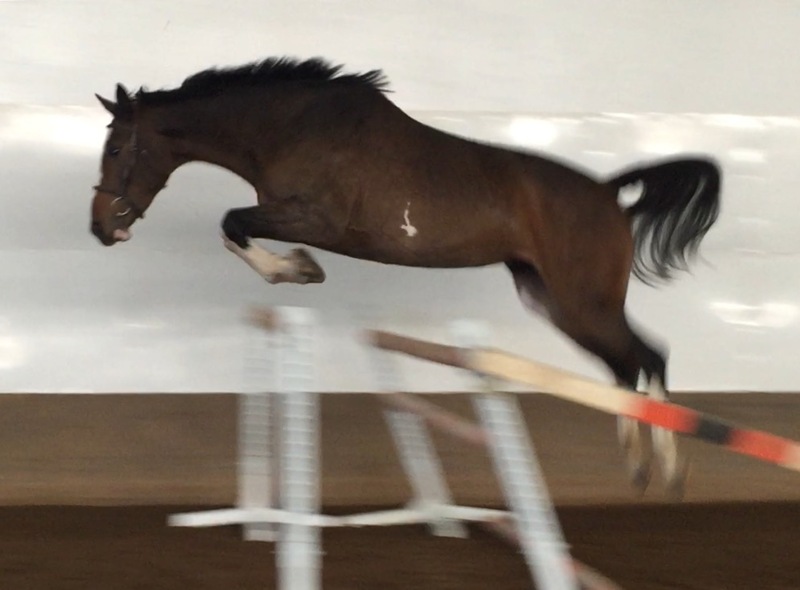 Passchendaele has the ability to do the 1.20+m, she is gaining milage and has proven to be super competitive and naturally very quick and careful. She is ready to take a competent rider up the levels.